Jürgen Klopp insists Liverpool won’t read anything into Burnley’s position in the Premier League table as they ready themselves for the challenge of picking up three points at Turf Moor on Wednesday night. The Clarets currently sit 19th in the standings after 14 matches, with a tally of nine points following defeat at Crystal Palace on Saturday. 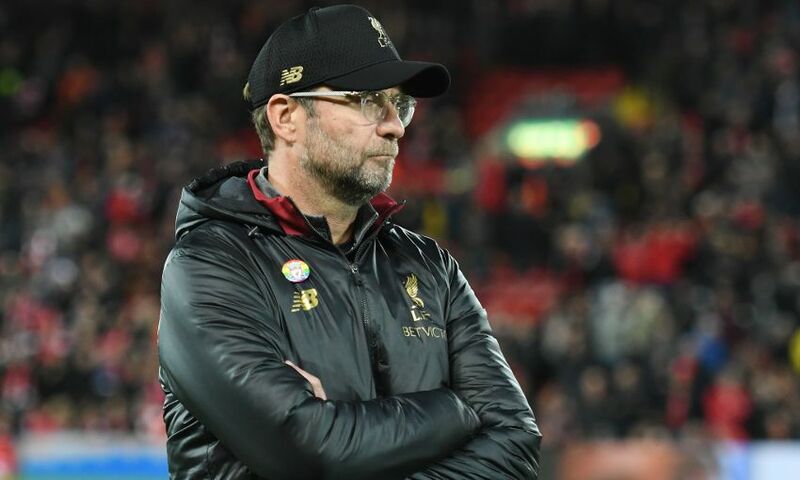 However, having won one and lost one away to Sean Dyche’s side during his Anfield tenure so far, Klopp is well aware of how tough Burnley will make life for Liverpool when the game gets under way tomorrow evening. We are now all long enough together to know about the specific challenge in a game like the game against Burnley. It’s a really tough place to go - since I am in, it was always tough. We don’t think or speak too much about the game before when we go into the next game. Sometimes things are obviously similar or obviously different, stuff like that. We have to make sure we are ready, that was clear before the season, that we have to be ready every three days. That’s exactly what has to happen now. It’s a tough place. I know of the results of Burnley, but when you make the analysis it is how it is - the situation of Burnley, I think everybody knew before the season it was a big challenge for them with the Europa League qualification. That’s actually a killer competition if you have to play the complete qualifiers through the pre-season and in the early stages of the season. Obviously Burnley’s squad is not made for that, so it was clear that the start would be a bit rusty or whatever. Now in the league they are performance-wise 100 per cent already for a few weeks, that makes it really, again, a difficult game for us like all the others. There are no easy games coming up. We lost the first five games in the league, so nobody expected us to do well or pass the first qualification round, but Sevilla put us out finally [in the first round] and they won the [Europa League] tournament that year. We played on Thursday and then played Bundesliga on Saturday, so you land on Friday afternoon somewhere in Germany and then the next day you play a Bundesliga game. That was the challenge - [playing] these two or three days constantly in an early part of the season is really, really difficult. Three games a week in mid-season is still a challenge, but it is much better - in the beginning, you cannot really train because you play important games always. It is not like you have a normal pre-season - you play these games, you play every three days and you fly around the world, and it’s just a challenge. Sean Dyche is experienced enough, they knew about it and still wanted to have that challenge because it is exciting as well. They had a lot of wonderful moments in Europe. The squad is strong and I know they will be fine in the end of the season, I am sure. They look calm in the moment and so far they didn’t get the results they maybe would have deserved with their performances. Now we have to make sure their run starts at the earliest at the weekend and not earlier. It was brilliant in the dressing room after the game, of course. But can you carry [on for] two or three days? Yes, the positive emotion about the whole season so far is still there. We feel in a good moment and that’s what we have to make sure again. But we are not - and I don’t want to blame children! - children anymore that we celebrate something for five days and then we realise we played already another game the day before. It’s Burnley, a completely different cup of tea. We know that, it’s not the first time we will go there. Last year it was January 1 and for me, after the season, it was maybe the game of the season because we won it with a late goal. After playing December 30, going on January 1 to Burnley, we played at three o’clock, the weather was not too nice, it was a really rough day, so winning a game like that gave us a lot last year, really, in the early stages of the second part of the season. Now we have to be ready. There is nothing negative in winning late against Everton from our point of view. So why should we struggle to realise Burnley starts with 0-0 again and we have to fight another 95 minutes? I would think it is disrespectful if I go to my players and tell them that. We have to be ready, that was clear, 38 times in the league and as much and often as possible in all other competitions.